Energetic LED Filament Clear Ball Lamp 2.1W BC 250lm is rated 4.4 out of 5 by 5. Rated 5 out of 5 by JeffV from Great Bulbs I bought these bulbs to replace some 40w 'golfball' filament bulbs. These LEDs use only about 10% of the current of the old ones. One thing I must mention is that Toolstation's catalogue shows them as being 100mm long, which would mean they would protrude from the fittings; they're NOT, they're only the same size as the old 'golfball' bulbs (about 76mm) and as a result do not protrude from the fittings at all! Rated 5 out of 5 by Apollo from Perfect replacement bulb! I've bought quite a few of these now, to replace my old tungsten filament bulbs and am really pleased with them. 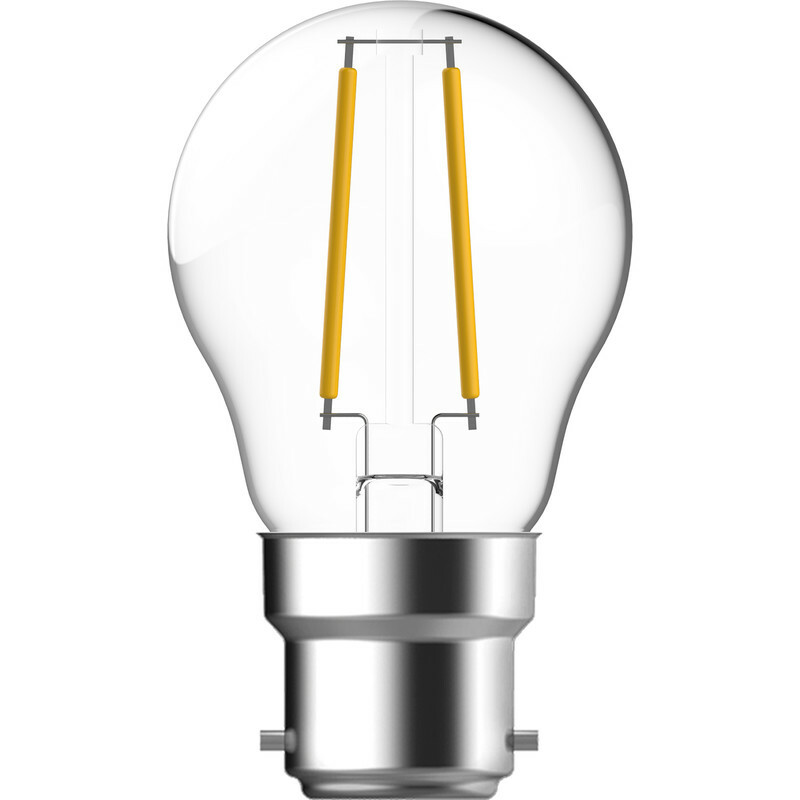 They are bright, emit full light instantly (unlike the older fluorescent type) and consume very little power. Ideally, they should be used with a shade or frosted lamp enclosure as the filaments are clearly visible otherwise. Had some of them for well over a year and no failures to date. Rated 5 out of 5 by Tobygus from The Bright Light They are ever so bright when pass electricity through them! But very low wattage - my new Smart Meter Simply LOVES them.